This baby corn and bamboo stir fry is a great way to incorporate vegetables into your meal. Baby corn nuggets and sliced bamboo tossed in a spicy and flavorful sauce makes the perfect side dish to accompany any meal. Baby corn is the same as regular corn, but in a smaller version. Used mainly in Asian cuisine these miniature corncobs have a light sweet taste and a slight crunch depending on how they are cooked. They can usually be found canned in most local grocery stores in the ethnic section. Bamboo shoots are the edible form of bamboo. These shoots have a nice light sweet flavor and are the first part of the bamboo that comes out of the ground. They are harvested and usually canned for consumption. Like the baby corn, canned bamboo shoots can be found in most local grocery stores in the ethnic section. Some larger Asian markets may sell fresh bamboo shoots. These look like small triangles. To prepare the fresh shoots first simply remove the rough outer skin. Then slice the shoot into pieces and boil these pieces for about 2 minutes. Then place them in an ice bath to stop the cooking process. Now they are ready to use in any dish you may choose. 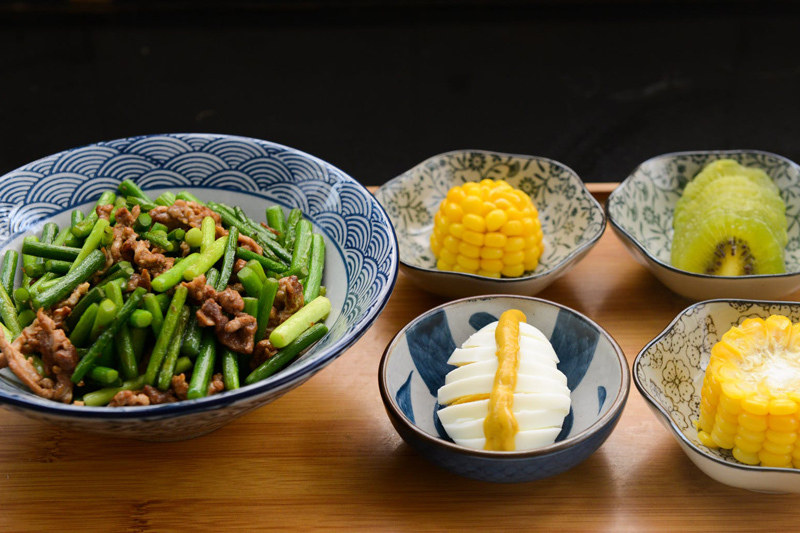 Try this amazing baby corn and bamboo stir fry recipe and let me know what you think in the Chinese food forum. Enjoy! Drain both the baby corn nuggets and the bamboo and then set them aside while preparing the sauce. In a large cup thoroughly mix together the chicken broth, hot chili oil, soy sauce, and cornstarch. Then set this sauce mixture aside. Heat a wok or large non-stick pot on high. Once hot add the peanut oil and let it get hot. When the oil is hot add the baby corn and bamboo and stir fry them for 4 minutes. Then add the sauce mixture and let it come to a boil. Continue to stir until the sauce becomes thick and coats the vegetables. Then remove it from the heat and serve. Makes 2 to 3 servings.